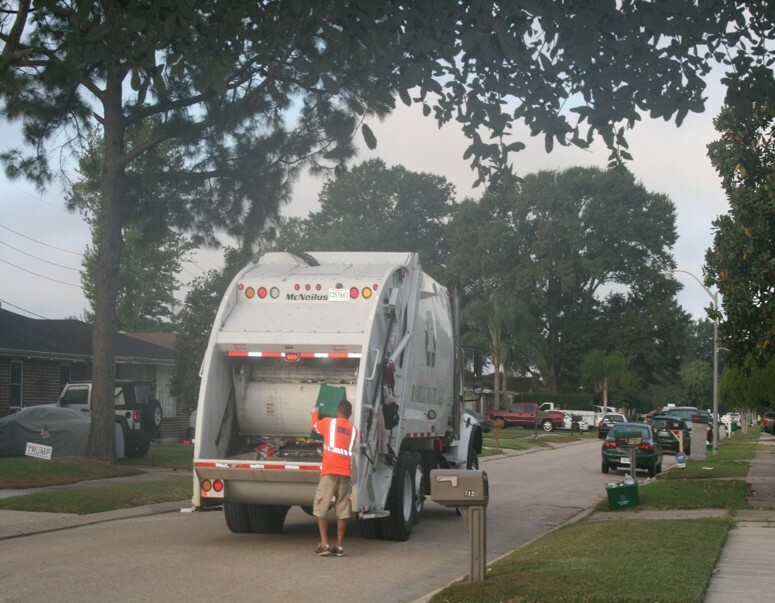 Curbside recycling returned to Kenner for the first time in more than a decade begining on May 5th, 2016. Curbside recycling is available to 22,000 locations in the city; if Ramelli picks up your curbside garbage you are eligible for recycling service. NO GLASS PRODUCTS!! Since glass cannot be recycled, glass bottles and containers cannot be placed in recycling bins. If any glass products are in a recycling bin, workers are instructed to skip that bin and move on to the next house. Any items that either cannot fit in a curbside recycling bin or are overflow items must be placed in a clear bag. Those items cannot be accepted at the recycling center if it cannot be easily determined that they are proper recycling products. Bulk or overflow items not in a clear bag also will not be collected. PICK-UP SCHEDULE: Residents should know that all eligible recycling will be picked up on the second day of your weekly pickup. For residents collected on Monday, that means Thursday will be both a garbage day and a recycling day. For residents with a Tuesday collection, the recycling pickup will be on Friday, and for residents with a first garbage pickup on Wednesday, recycling will be collected on Saturday. We are NOT accepting glass. Don’t know your pick-up days? Find your pick-up days by district.